Our Seattle divorce attorneys are ready to aggressively defend your interests. Contact us today. There is little that can prepare you for the emotional strain of dealing with a divorce in Seattle. It can be especially difficult to witness how devastating a divorce can be to any children involved. Uncertainties abound, and in Seattle a divorce could involve issues regarding spousal support, child custody, and property division, making a difficult situation even more complicated. It's important to maintain focus on your most important end-goals, and this is where our qualified Seattle divorce lawyers come into play. At the heart of what our Washington State divorce attorneys offer is experience, and we successfully resolve many cases in family court every year. We believe that nobody understands the unique needs of your family better than you, so our Seattle divorce lawyers help you clearly defined those needs so that we can shape them into attainable goals. While your future maybe filled with uncertainty, the law is very specific, so you might want to have some questions answered before retaining a Washington State divorce lawyer. You can talk to one of our qualified Seattle divorce attorneys today by contacting our law firm for a free consultation. Start getting some answers about your divorce now, so that you can make decisions that are based on real world experience and Washington family law. Every divorce case is unique and deserves personalized attention, so the role of our Washington State divorce attorneys is to provide you with the care and attention that your situation deserves. You will undoubtedly be filled with uncertainty as the divorce process unfolds, so you need to have someone working on your behalf that you can fully trust, and this is why your choice of divorce lawyer in Seattle is so vital. Through a better understanding of Washington State divorce law, we are ready to help you protect your legal rights. This ensures that you and your family get the care and attention you deserve, and the best outcome possible. 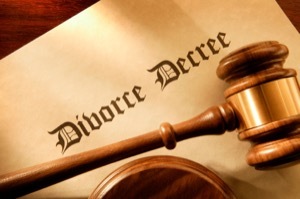 Are you ready to talk to an experienced Seattle divorce attorney about your situation? If so, then fill out our online form or call our law office today, and one of our divorce lawyers in Seattle will contact you within 24 hours. Without risk or monetary obligation, there should be nothing holding you back from getting all the information you can to protect your interests, and those of your family. Contact us today and speak with one of our compassionate Washington State divorce attorneys, and let them show you the way toward a brighter future.